Insulation is essential for energy efficiency, and nobody knows insulation better than Coastal Insulation. 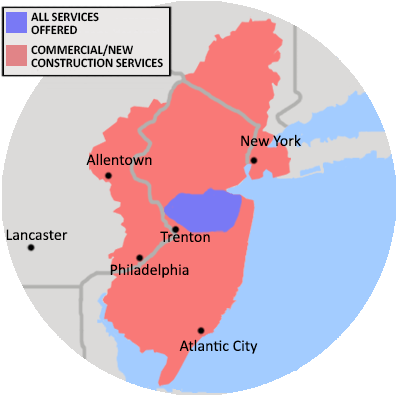 Call or email today to arrange for a free estimate for home insulation in East Windsor, Princeton, Montgomery, New Brunswick, East Brunswick, Monroe Township, North Brunswick, Marlboro, Lawrence Township, Princeton, and nearby areas in New Jersey, New York, and Pennsylvania. Be sure to check out our other content to help in choosing the best spray foam insulation and the best spray foam contractor in New Jersey, New York, and Pennsylvania. Call 1-844-565-1285 or contact us online to schedule a free estimate for spray foam insulation in Old Bridge, Trenton, Hightstown, East Brunswick, New Brunswick, North Brunswick, Monroe Township, Lawrence Township, Princeton, Marlboro, and nearby.